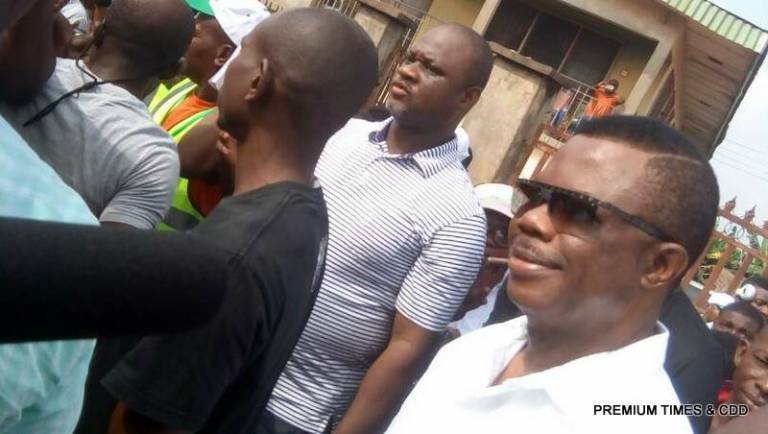 Incumbent Governor of Anambra State, Willie Obiano, came under attacks Saturday after addressing his supporters at a polling unit, with activists accusing him of violating the Electoral Act. Activists said the governor’s address constituted a form of campaigning, which the law says must end 24 hours before voting. “For the purpose of this Act, the period of campaigning in public by every political party shall commence 90 days before polling day and end 24 hours prior to that day. This refers to a registered political party or any person acting on its behalf during the 24 hours before polling day,” the Act reads in section 99 (1 and 2). The governor cast his vote around 10 a.m. at Eri Primary School, Unit 004, Otuocha 1, Aguleri, Anambra East on Saturday, before speaking to his supporters. Abiola Akiyode of the Transition Monitoring Group, condemned the governor’s action describing it as a “temptation” the governor should have avoided. “The most worrisome aspect (of this election) is that the governor came with a microphone to address the people. I think it is a sort of campaign. Since I have been observing, I have never seen any governor go to that extent to talk to people on election day. I think he should have avoided the temptation even if people are pushing him to do something”, she said. Speaking further, Mrs. Akiyode said the governor’s address is a form of campaign given its content and timing. However, the governor was not able to use the card reader at his polling unit as the machine malfunctioned.